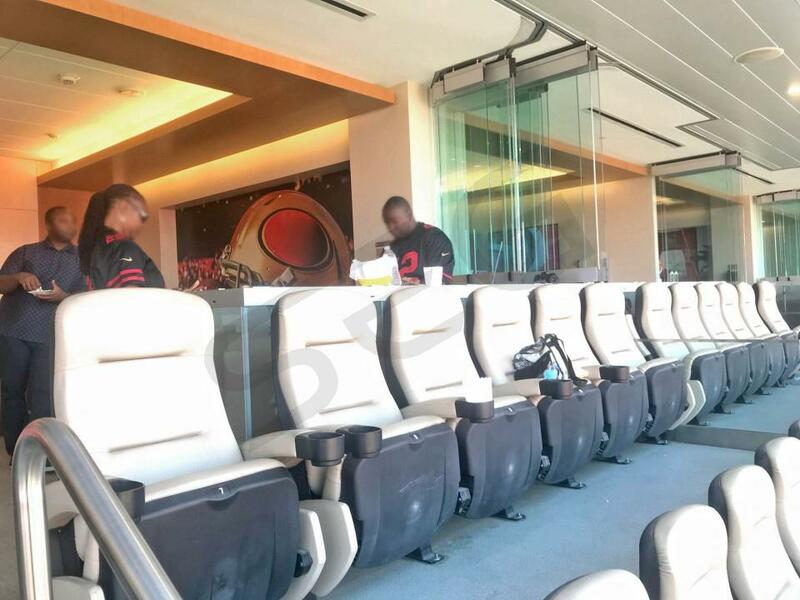 How much do 49ers suites cost? 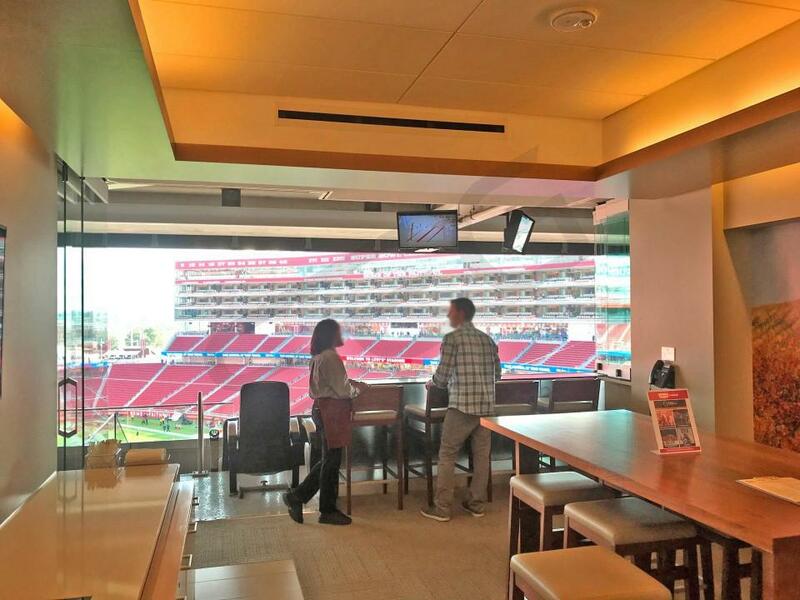 Fully private suites at Levi's Stadium typically range from $8,000-$25,000 for San Francisco 49ers game. 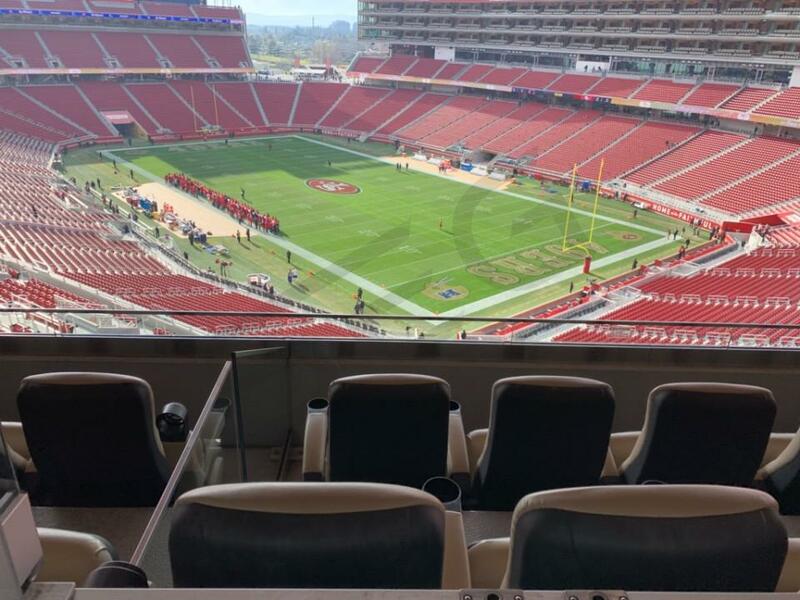 Prices vary based on opponent, time of year, and suite location within Levi's Stadium. 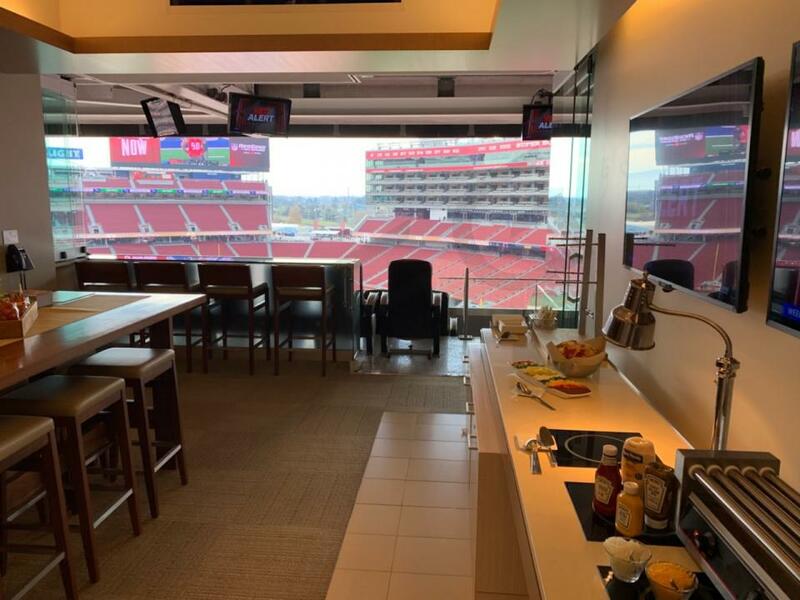 Luxury suite prices for concerts and other events at Levi’s Stadium can vary widely based on the type of event but will typically range from $3,500 - $15,000. The 2019 San Francisco 49ers are ready to take over the NFC West. Jimmy Garoppolo will be back under center after suffering a season-ending injury in 2018. Garoppolo and the 49ers added a couple of new weapons offensively with the signings of Tevon Coleman and Jordan Matthews. With a Jerick McKinnon coming back from injury, this essentially gives the 49ers 3 new players who can make a major impact in the endzone. Not to mention 2018 breakout star, George Kittle, who is ready to follow up on his Pro Bowl season. Defensively, the 49ers made a major move in the offseason by trading a future second-round draft pick for Dee Ford. Ford, previously with the Chiefs, is the difference maker on defense that the 49ers have been missing. The Niners also signed Jason Verrett and Kwon Alexander. Adding these three starters to a unit featuring DeForest Buckner and Richard Sherman, the 49ers hope to have turned around their defensive woes from a season ago. Kyle Shanahan and John Lynch enter year 3 of their responsibilities as coach and general manager and the 49er Faithful are ready to see push for the postseason. 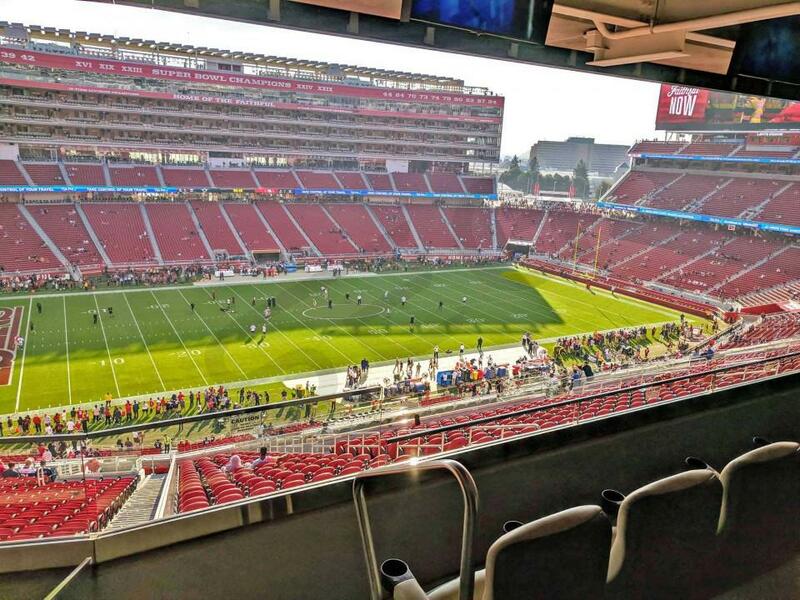 Levi's Stadium is in Santa Clara, which is about 45 miles South of San Francisco. 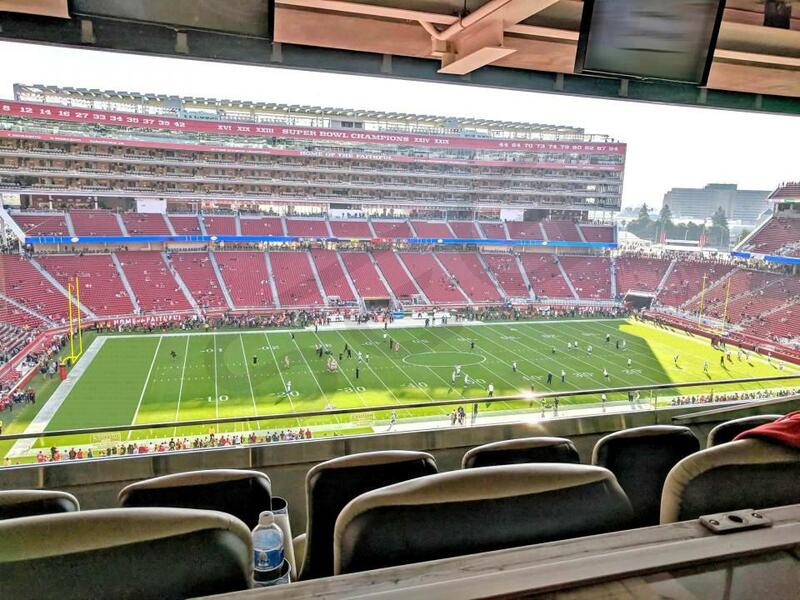 With the optimistic look at the 49ers season, luxury suites at Levi's Stadium will be in high-demand compared to recent years. 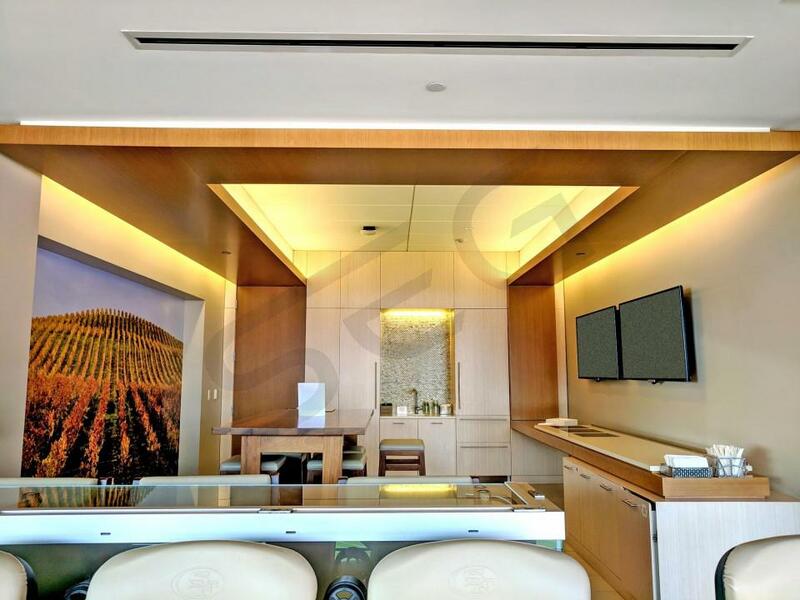 Whether you are interested in a suite for business or for friends and family, Levi's Stadium has a wide range of suite options to consider. Most people recognize the SAP suite tower on the home sideline. In this tower are 3 levels suites stretching from end zone to end zone. Behind each end zone you can find the North and South Trophy Club suites. 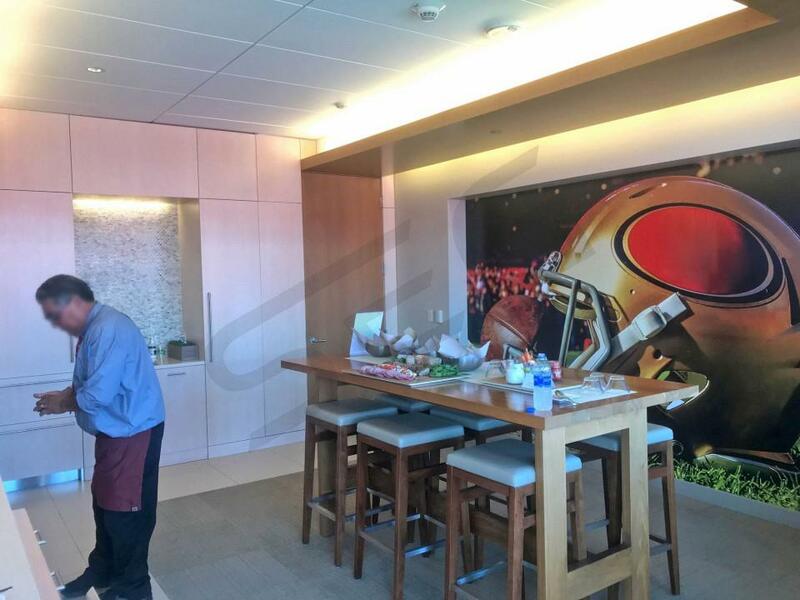 On the visitor sideline are the Owner's Club suites, which are considered the most upscale suite experience at Levi's Stadium. 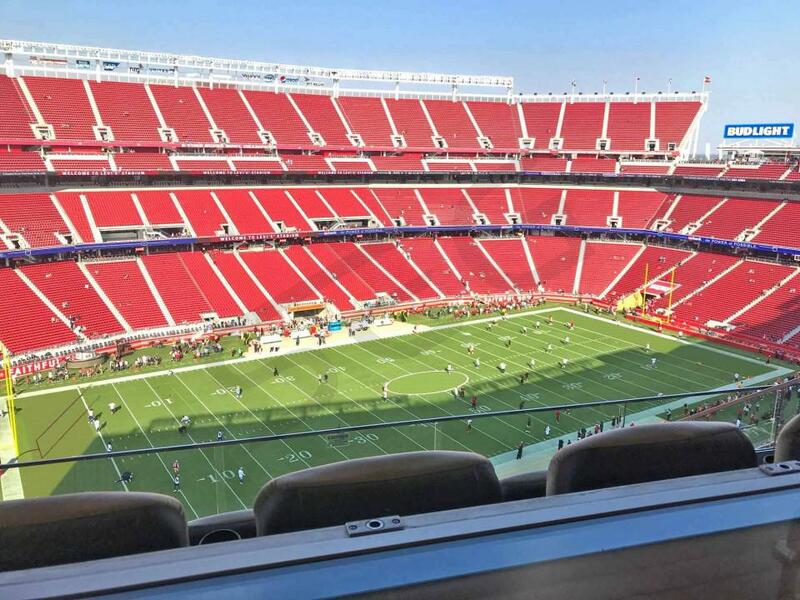 For the most part, suites at Levi's Stadium will include 16 - 20 tickets and VIP parking. Owner's Club suites will include an upscale buffet and beverages. Meanwhile, all other luxury boxes can be catered at an additional cost in advance to your event. A full suite menu will be presented to you, so you can hand pick your selections. Restrooms for all suites are going to be located outside of your actual suite but right on the suite level for easy access. 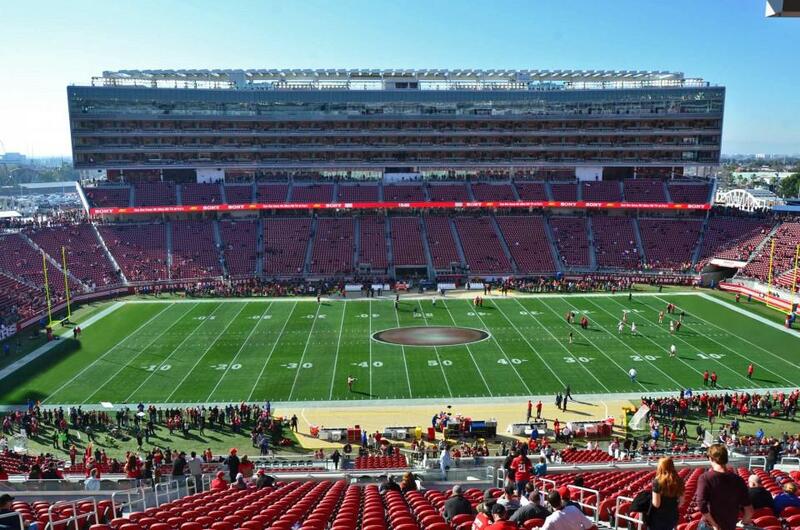 Levi's Stadium will be hosting more than just the 49ers this year. Other events that can make for perfect corporate outings include the PAC-12 Championship, the Foster Farms Bowl, Rolling Stones, Monster Jam and the USA Women’s National Soccer team takes on South Africa. 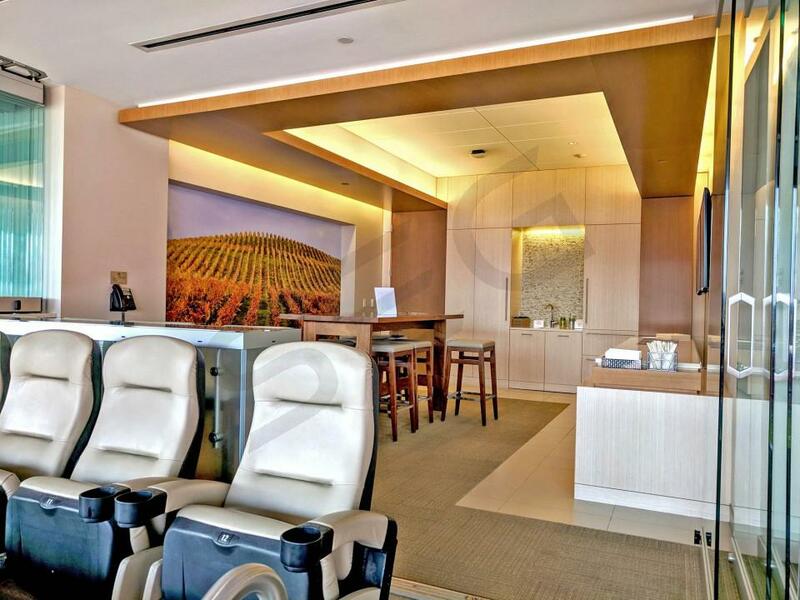 Don't miss out on a chance to rent a suite at Levi's Stadium through Suite Experience Group. The Jimmy Garoppolo era is about to take off for the San Francisco 49ers. After stringing 5 straight victories to end the season, Jimmy G has the 49ers Faithful buzzing for the 2018 season. Head coach Kyle Shanahan and general manager, John Lynch, spent the offseason bringing the players they fill will help get this 49ers squad back into the playoffs. Fit for Shanahan's offense, Jerick McKinnon will take over the running back duties after signing a 4-year deal in free agency. Perhaps the 49ers biggest splash in the offseason was the signing of former Seattle Seahawks star, Richard Sherman. As far as other key members to the 2018 49ers, fans should be excited to see Solomon Thomas and Ahkello Witherspoon in their sophomore year, Pierre Garcon, DeForest Buckner and Marquise Goodwin. 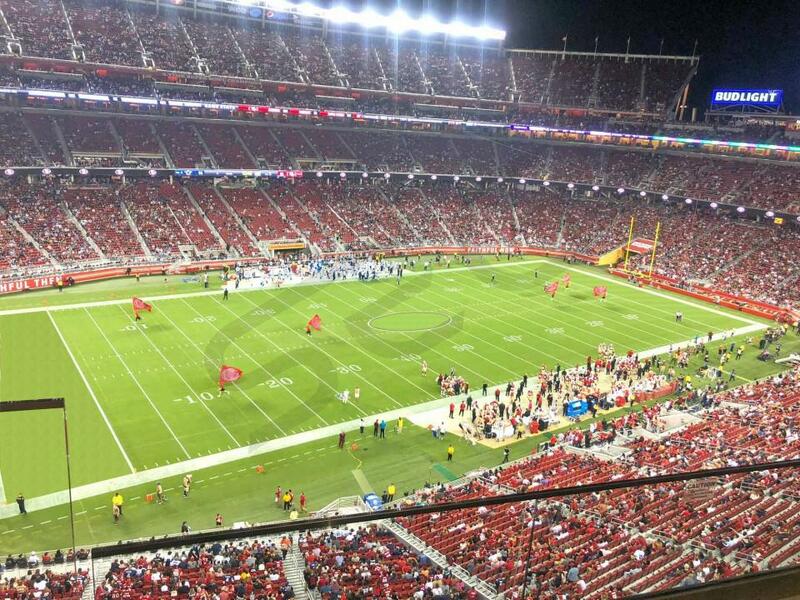 Levi's Stadium is in Santa Clara, which is about 45 miles South of San Francisco. 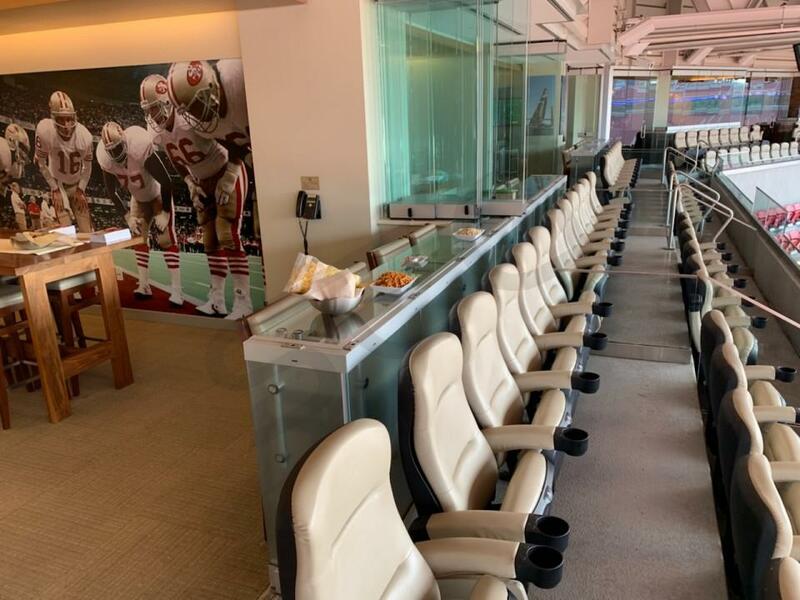 With the optimistic look at the 49ers season, luxury suites at Levi's Stadium will be in high-demand compared to recent years. 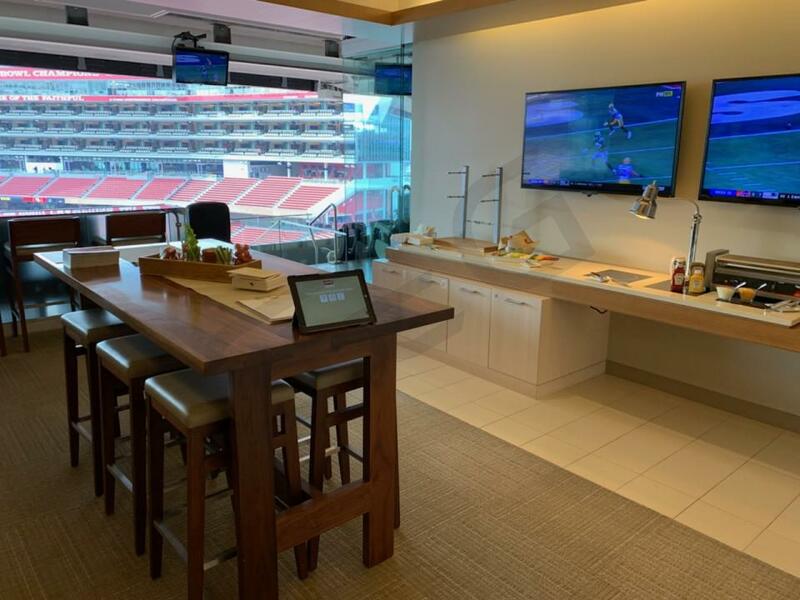 Whether you are interested in a suite for business or for friends and family, Levi's Stadium has a wide range of suite options to consider. Most people recognize the SAP suite tower on the home sideline. In this tower are 3 levels suites stretching from end zone to end zone. Behind each end zone you can find the North and South Trophy Club suites. 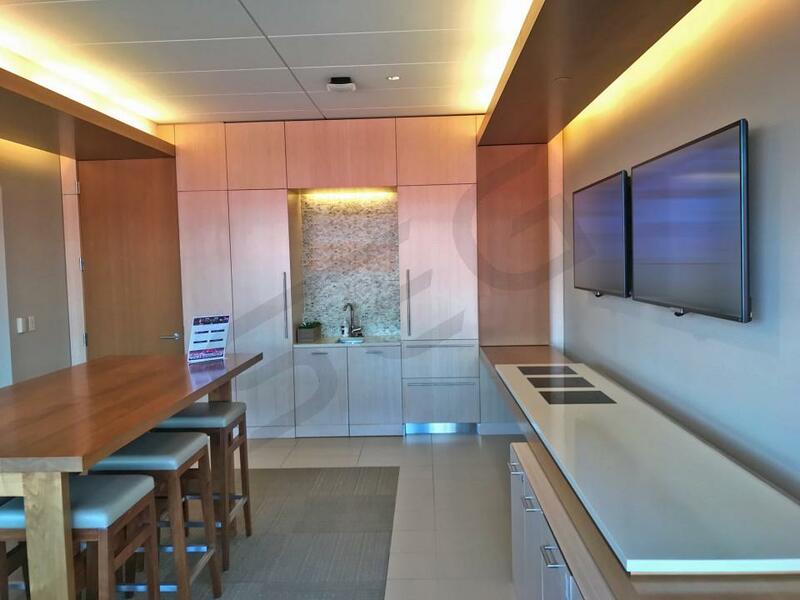 On the visitor sideline are the Owner's Club suites, which are considered the most upscale suite experience at Levi's Stadium. 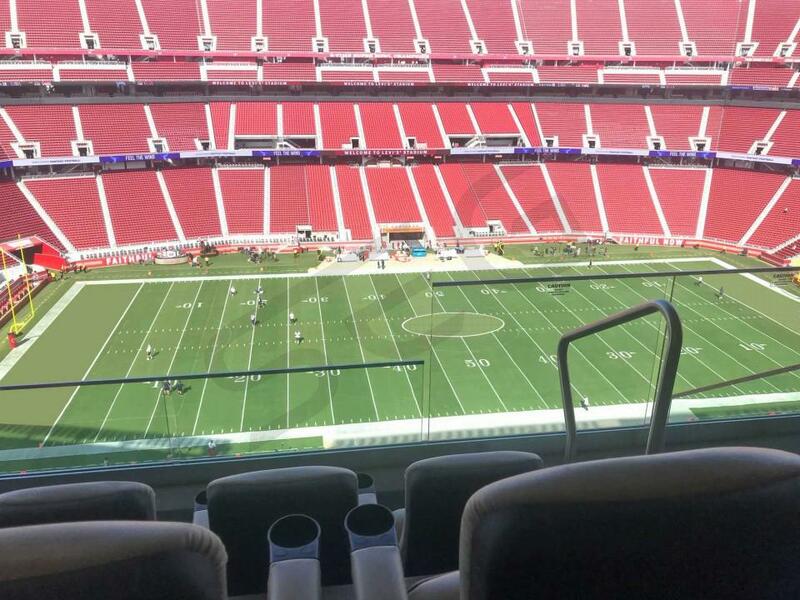 For the most part, suites at Levi's Stadium will include 16 - 20 tickets and VIP parking. 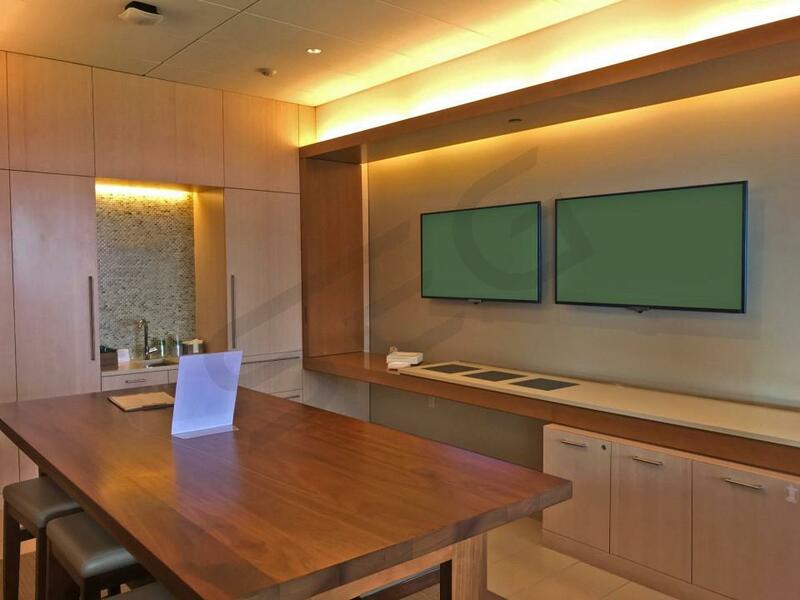 Owner's Club suites will include an upscale buffet and beverages. 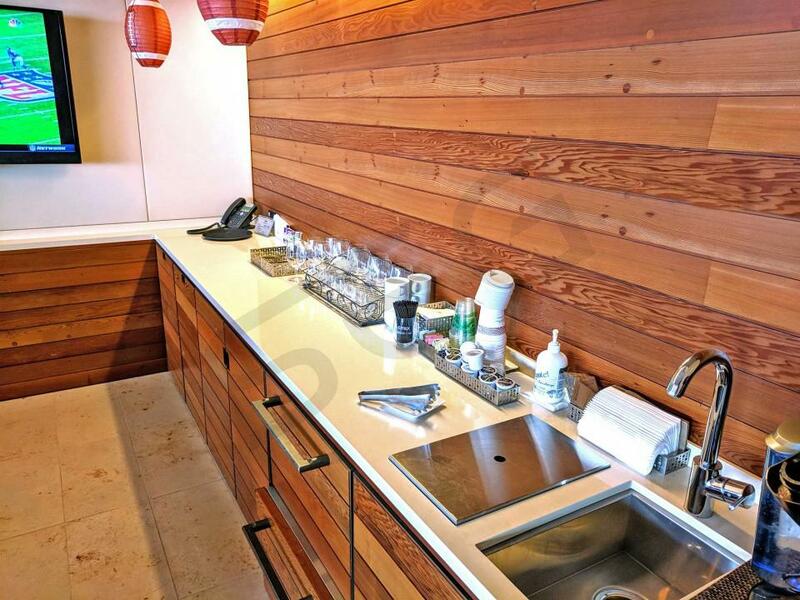 Meanwhile, all other luxury boxes can be catered at an additional cost in advance to your event. A full suite menu will be presented to you, so you can hand pick your selections. Restrooms for all suites are going to be located outside of your actual suite but right on the suite level for easy access. 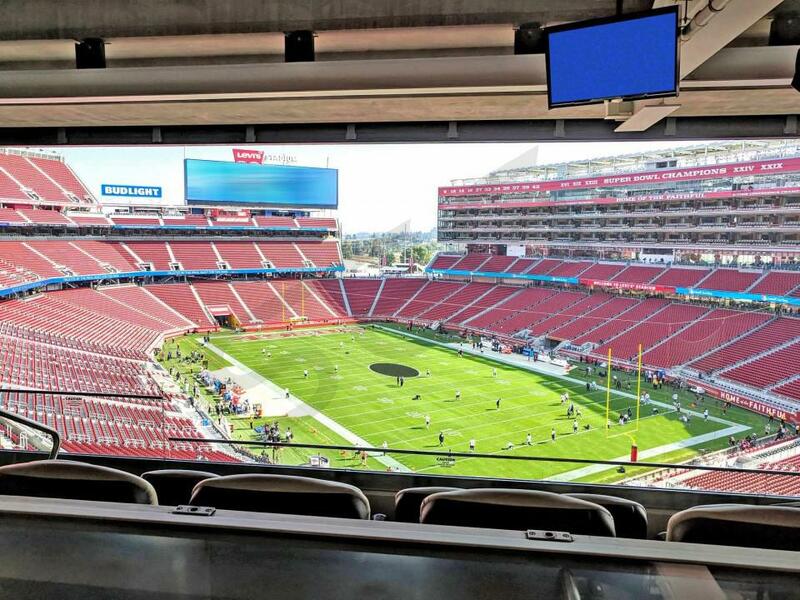 Levi's Stadium will be hosting more than just the 49ers this year. 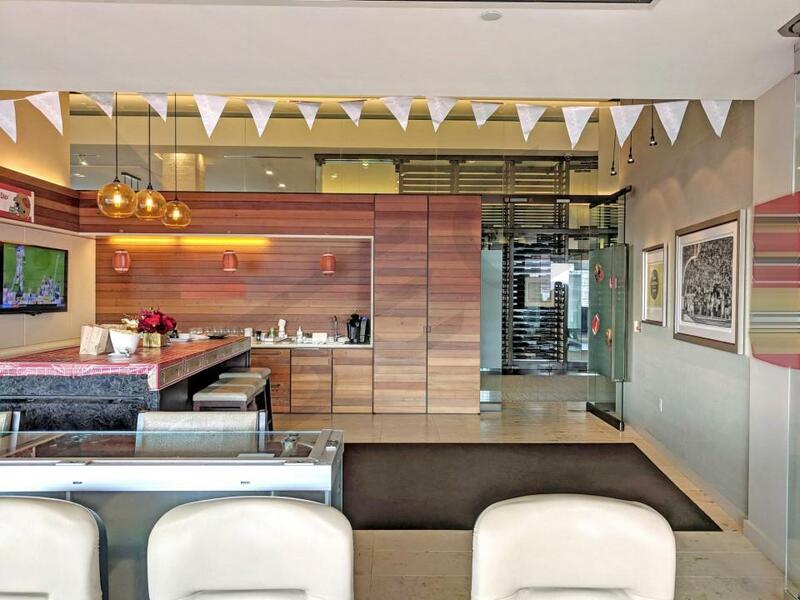 Other events that can make for perfect corporate outings include the 2019 College Football National Championship game, the PAC-12 Championship, the Foster Farms Bowl, Taylor Swift and Beyonce & Jay-Z. 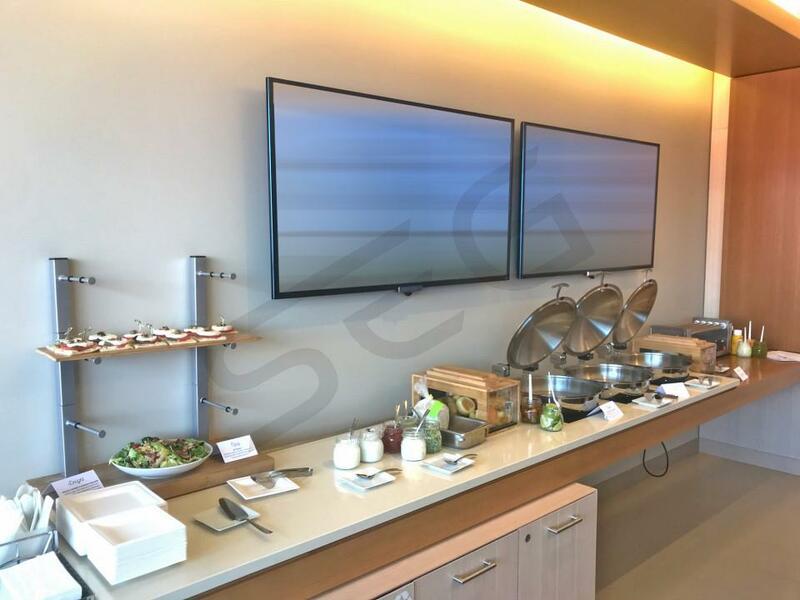 Don't miss out on a chance to rent a suite at Levi's Stadium through Suite Experience Group. The 2017 San Francisco 49ers have their fans buzzing over the turnaround in the front office. General manager, John Lynch, and head coach, Kyle Shanahan, have stepped in and immediately made an impact at the 2017 NFL Draft. Fans headed to Levi’s Stadium this season will see a completely new offense and a defensive scheme aimed to get to the opponent’s quarterback. The 49ers let go all their quarterbacks from a year ago including Colin Kaepernick. Taking over for the 49ers will be Brian Hoyer. Backing Hoyer up will be Matt Barkley and third-round draft pick C.J. Beathard. Running back Carlos Hyde will be the focal point in the backfield. The 49ers did add running back depth this offseason by signing veteran Tim Hightower and selecting Joe Williams in the draft. The wide receiving corps also got a complete makeover by the Lynch and Shanahan staff. The 49ers added Pierre Garcon and Marquise Goodwin. By drafting 3 defensive players in the 2017 draft, John Lynch put emphasis on improving the defense. The 49ers drafted DL Solomon Thomas, LB Rueben Foster and CB Ahkello Witherspoon to help make an immediate impact to year’s team. Helping the pass rush will be two former first-round draft picks in Arik Armstead and DeForest Buckner. While the 49ers are excited about their young talented defensive front, there’s just as much excitement to get a healthy NaVorro Bowman back on the field. Making a visit to Levi’s Stadium to face the 49ers in 2017 will be the Los Angeles Rams, Arizona Cardinals, Seattle Seahawks, Carolina Panthers, Dallas Cowboys, New York Giants, Tennessee Titans and the Jacksonville Jaguars. 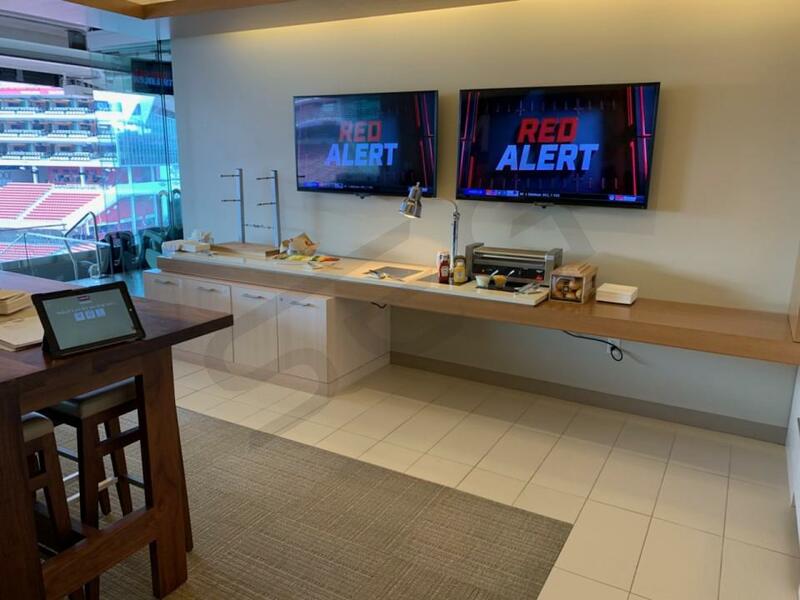 Suites and Special Events: You can watch all the action from a 49ers luxury suite at Levi’s Stadium. 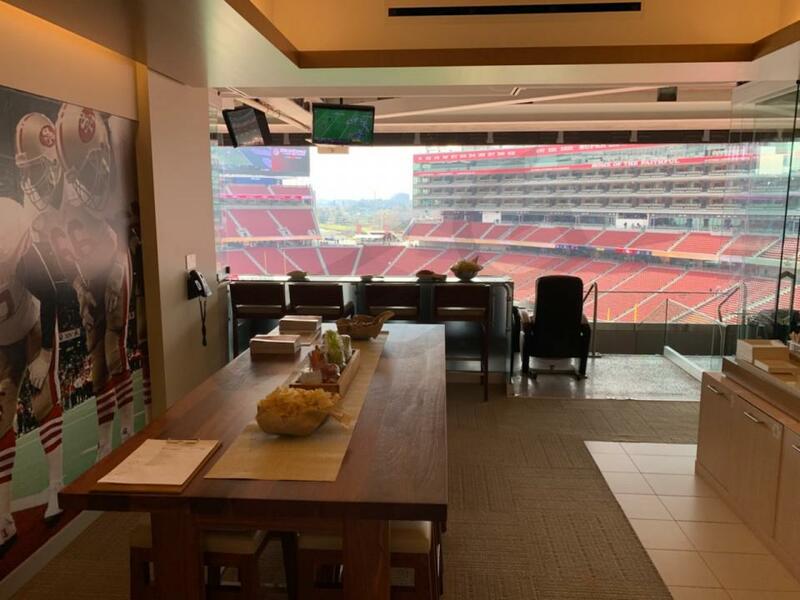 Renting a private suite for a 49ers game will give fans the ultimate VIP experience with exclusive access to the VIP clubs inside Levi’s Stadium. 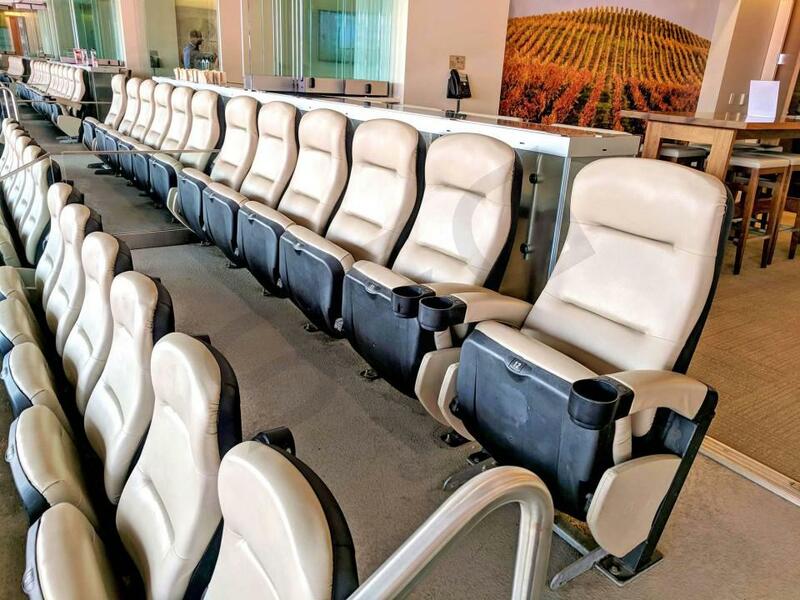 A 49ers luxury box will feature theater-style seating, HD-TVs, Wi-Fi throughout, premium in-suite catering options, private entry and VIP parking. 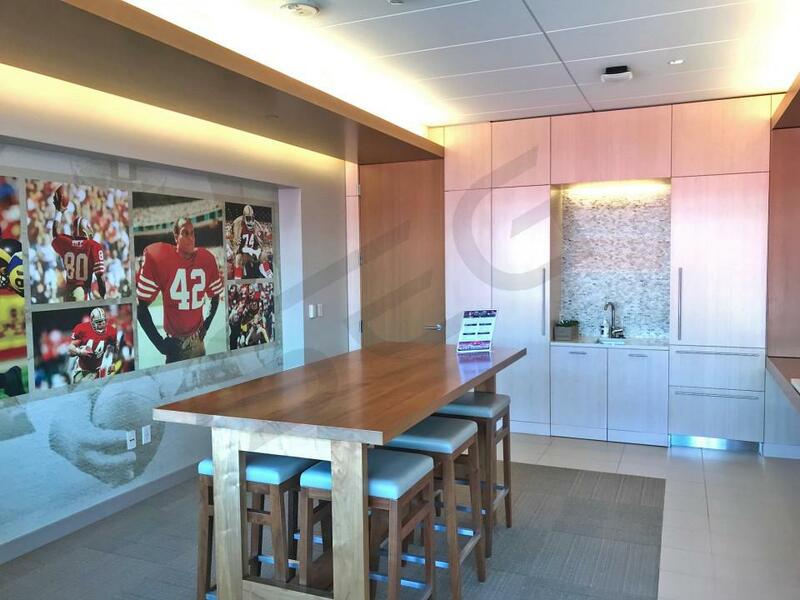 The 49ers have multiple suite levels and areas throughout Levi’s Stadium including suites in the SAP Tower, North End Trophy Club and Owner’s Club suites. 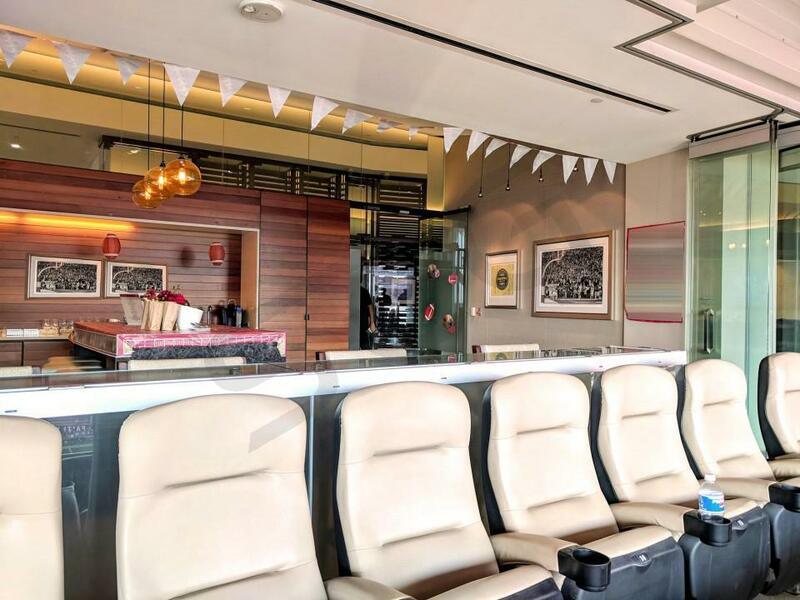 The Owner’s Club will be the only suites that includes an all-inclusive catering featuring a premium buffet, soft drinks and alcohol. 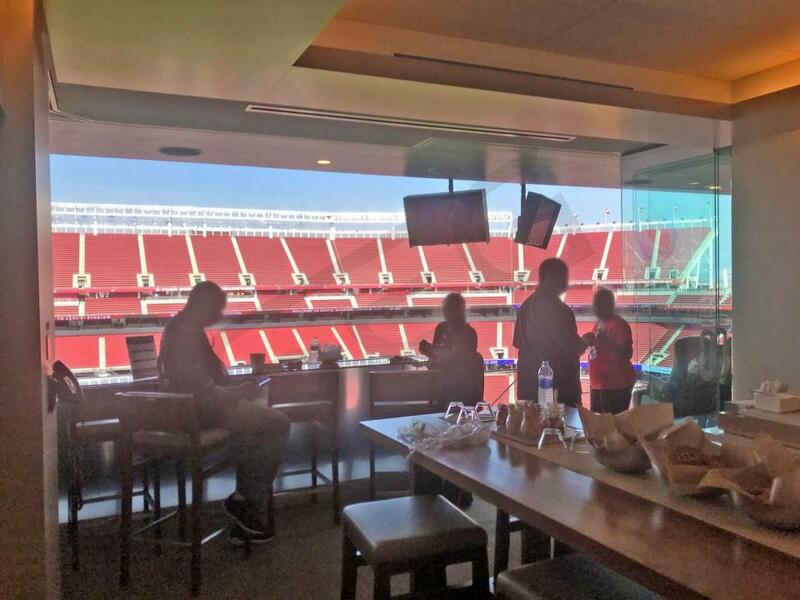 Levi's Stadium will be hosting plenty of events in 2017 that you can rent a suite for including the International Champions Cup (Manchester United vs. Real Madrid, CONCACAF Gold Cup Final, Coldplay, PAC-12 College Football Championship and the Foster Farms Bowl. Offense: The San Francisco 49ers are gearing up for their third season in the beautiful Levi's Stadium in Santa Clara, CA and 2016 will definitely be an exciting year for the team. After a frustrating season in which the 49ers only won 5 games the team fired Jim Tomsula and hired the former Oregon Ducks and Philadelphia Eagles Head Coach Chip Kelly. The innovative Kelly and new offensive coordinator Curtis Modkins look to ignite a 49ers offense that seriously struggled last year under former offensive coordinator Geep Chryst. While there is talent, on the offensive side of the ball constant turnover has hurt a team that still isn't sure which of the two returning quarterbacks, Colin Kaepernick and Blaine Gabbert, will be airing it out. Both quarterbacks are high draft picks and clearly have loads of talent but neither of them have been able to put it all together yet. Kaepernick fits Chip Kelly's system really well because of his athleticism and he could have a breakout year. Running back Carlos Hyde is one of the most powerful and elusive running backs in all of football but failed to stay healthy last year. When healthy he was second in the league in yards after contact so expect him to break off some exciting big time runs. The wide receiving corps is full of untested young and talented young receivers. Torrey Smith is the most established of that group and has potential to break out for a long touchdown every time the 49ers pass but he struggled last year finishing with only 33 catches. Eric Rogers, a former Canadian Football League star, has the most potential out of the group as a 6' 4" end zone target with deceptive speed. Bruce Ellington should also be an exciting player in the slot role as he is an electric athlete and played both basketball and football at the University of South Carolina. Defense: Last year Aaron Lynch broke out and has his modt productive season for the 49ers at the outside linebacker spot. The former University of South Florida star had a career high of 6.5 sacks while facing two blockers the majority of the season. In his rookie season, young defensive tackle Arik Armstead showed exactly why he was rated as such a disruptive force coming out of the University of Oregon and he should be looking forward to a breakout season as he takes field time from last year's starter Glenn Dorsey. In the 2016 NFL Draft, the 49ers selected another massive highly rated defensive tackle out of Oregon, DeForest Buckner. The 49ers are extremely high on him and expect big things from the talented prospect in his rookie year. While the 49er's are excited about their young talented defensive front the undoubted captain of this defense is All-Pro middle linebacker Navarro Bowman. Bowman led the NFL in tackles after a down season in 2015 and is back to being one of the two or three most dominant middle linebackers in the league. Former All-Pro's Eric Reid and Antoine Bethea man the free safety and strong safety spots. The 49ers defense will be a hard-hitting, athletic and extremely entertaining group in 2016. Schedule: In 2016, the 49ers will face a tough schedule at home. Visiting Levi’s Stadium next season will be the Los Angeles Rams, Seattle Seahawks, New York Jets, New England Patriots, New Orleans Saints and Arizona Cardinals. 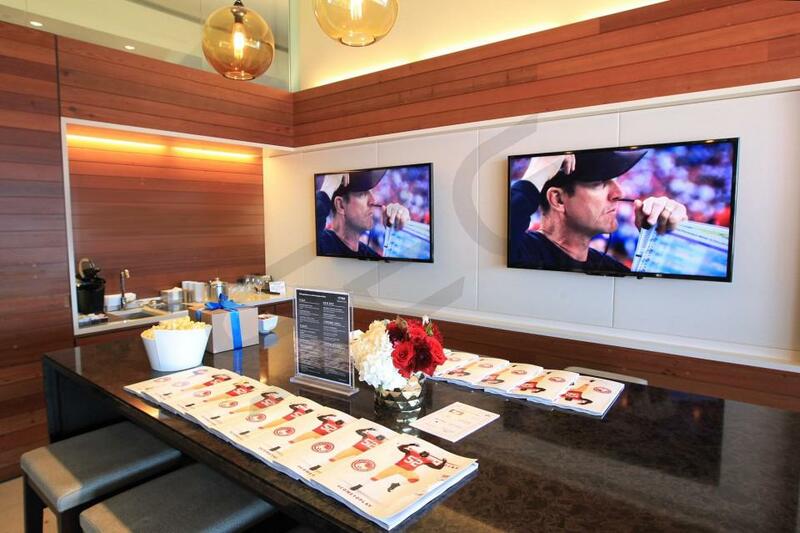 Suites and Special Events: You can watch all the action from a 49ers luxury suite at Levi’s Stadium. 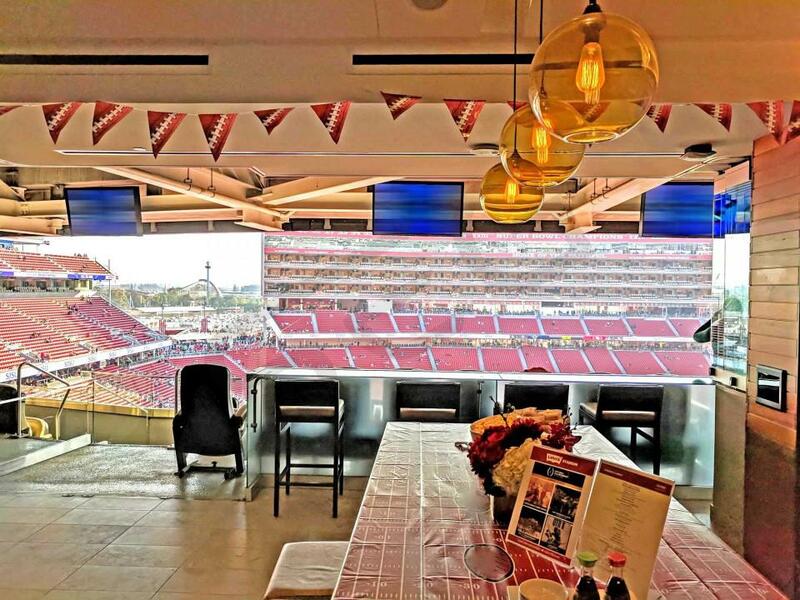 Get the ultimate VIP experience with exclusive access to the VIP clubs inside Levi’s Stadium. 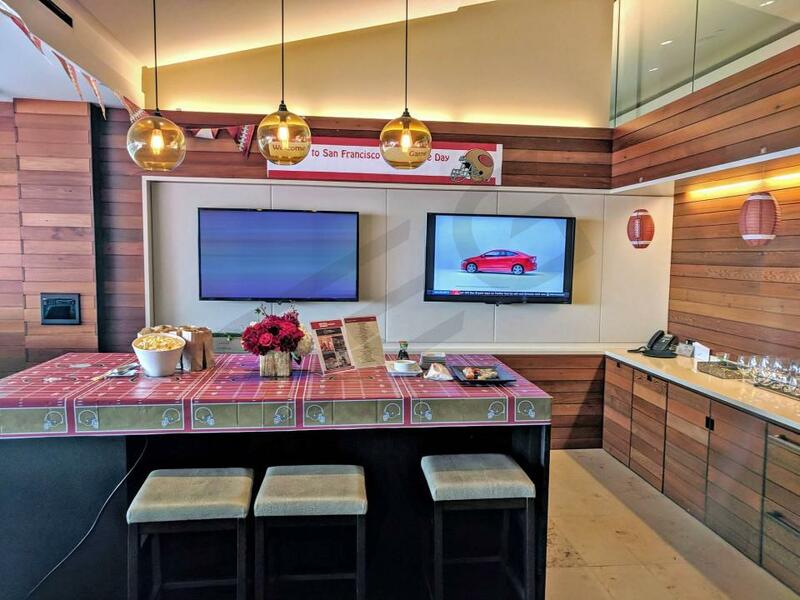 A 49ers luxury box will feature theater-style seating, HD-TVs, Wi-Fi throughout, premium in-suite catering options, private entry and VIP parking. 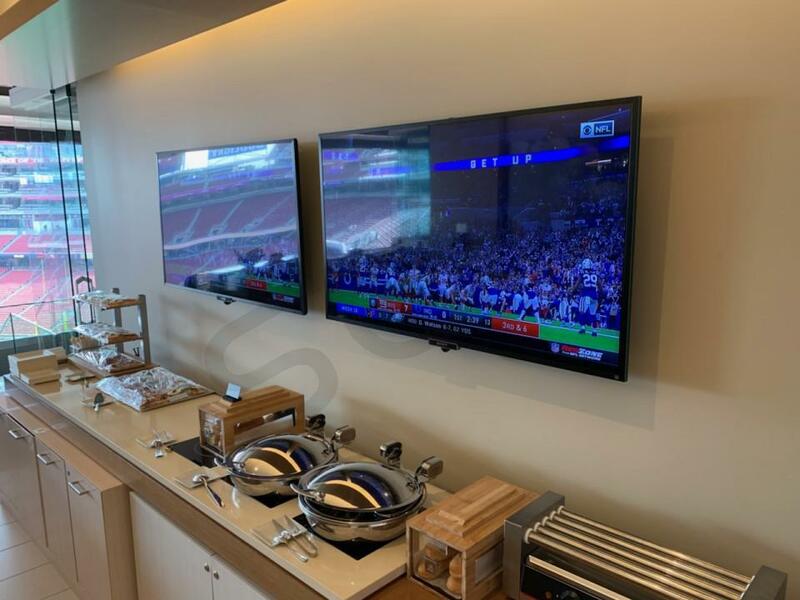 The 49ers have multiple suite levels and areas throughout Levi’s Stadium including suites in the SAP Tower, North End suites and Owner’s Club suites. Levi's Stadium will be hosting plenty of events in 2016 including the COPA America Soccer Quarterfinals, AC Milan vs. Liverpool FC, Kenny Chesney and Miranda Lambert, the 2016 Formation Tour by Beyonce, the Foster Farms Bowl and the PAC-12 Football Championship. 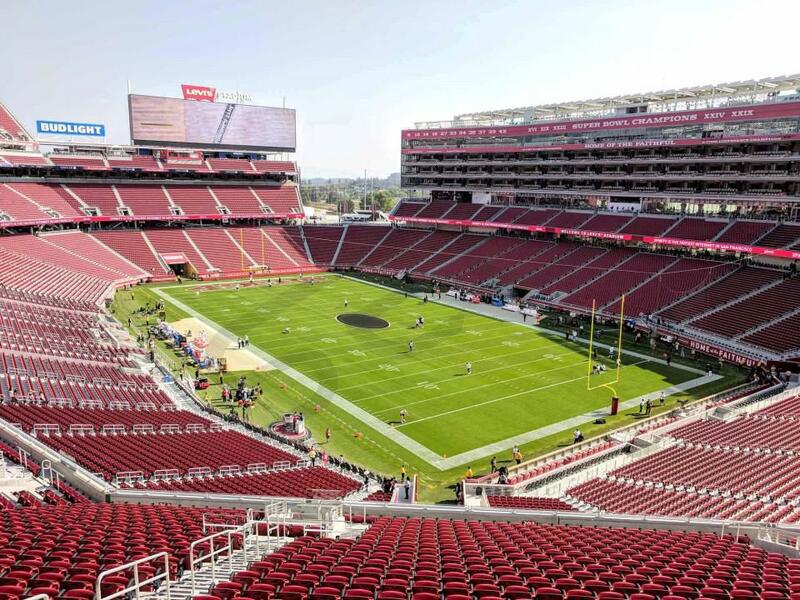 The San Francisco 49ers move into the brand new Levi’s Stadium in 2014. The 49ers are of the NFL’s premier teams after reaching the NFC title game three years in a row. Twice they lost and the other time they were defeated in the Super Bowl. With high expectations again, Head Coach Jim Harbaugh will have to face the NFL’s strongest division, the NFC West. Quarterback Colin Kaepernick hopes to continue to improve. He will have plenty of weapons to get the ball too include Michael Crabtree, Anquan Boldin, Vernon Davis and Frank Gore. The 49ers also have one of the league’s top defensives led by Patrick Willis and NaVorro Bowman. 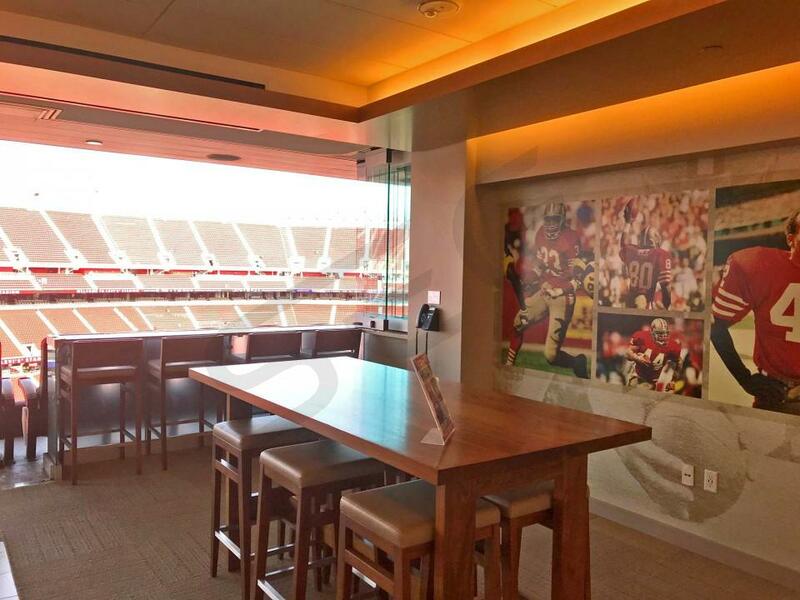 49ers luxury suites at Levi’s Stadium will provide fans with the ultimate VIP experience. Luxury boxes will feature theater-style seating, HD-TVs, Wi-Fi throughout, premium in-suite catering options, private entry, early access and VIP parking. 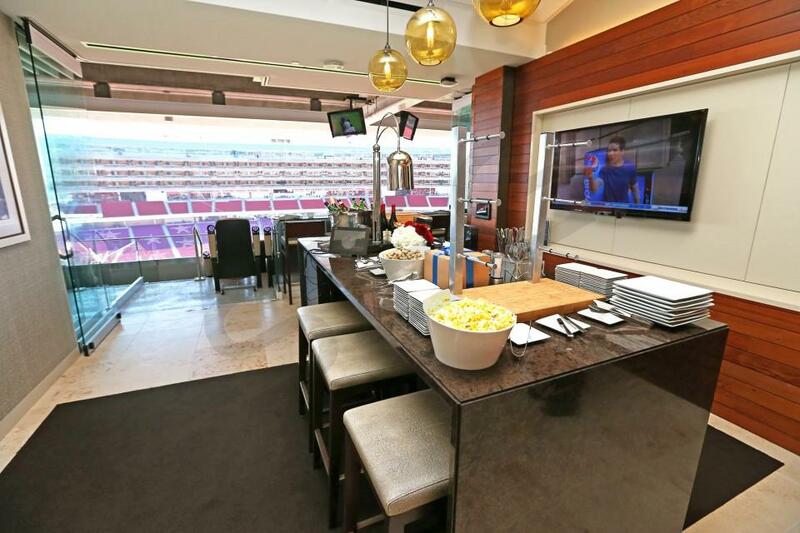 Be one of the first groups to watch the San Francisco 49ers from one of Levi’s Stadium new private luxury suites. 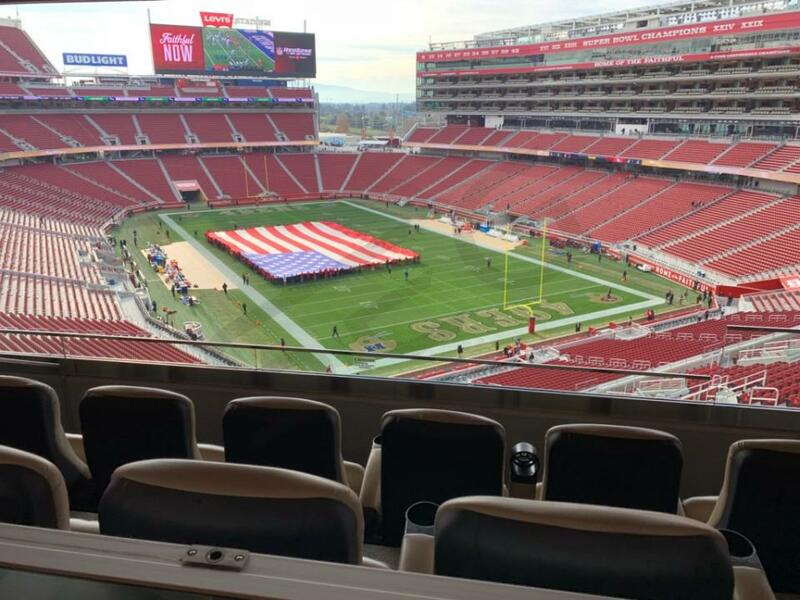 Levi's Stadium will be hosting plenty of non-NFL events as well. On December 5, the Pac-12 College Football Championship game will be held in Santa Clara. The final event in 2014 at Levi's will be the San Francisco Bowl on December 30. As we get into 2015, the NHL's San Jose Sharks host the Los Angeles Kings outdoor as part of the NHL's stadium series. Later in the year will be WrestleMania, Taylor Swift and Monster Energy AMA Supercross. 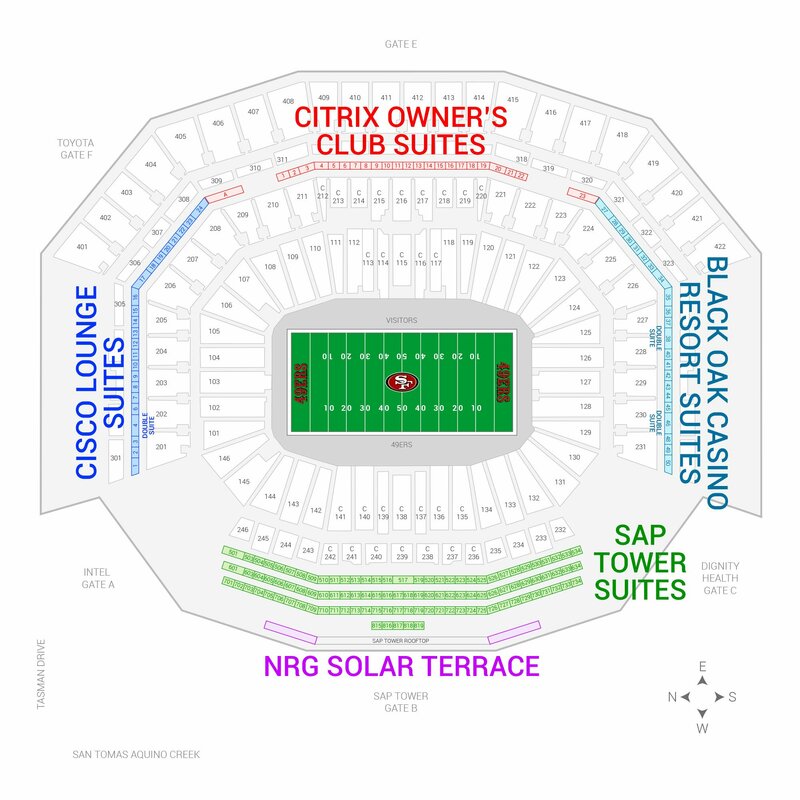 The seating chart below shows where the San Francisco 49ers suites at Levi's Stadium are located.